(Bloomberg) -- Walt Disney Co.’s $71 billion takeover of a swath of 21st Century Fox Inc.’s assets isn’t just remaking the media landscape. It’s reshaping the fortune of one of the industry’s most powerful dynasties. Over more than half a century, Rupert Murdoch built a media empire, and he’s now worth $19.3 billion. But the $12 billion of proceeds from the Disney deal are set to be distributed to his six children -- Prudence, Elisabeth, Lachlan, James, Grace Helen and Chloe. That will make them billionaires in their own right while cutting the elder Murdoch’s fortune to $7.3 billion, according to calculations by the Bloomberg Billionaires Index. Fox declined to comment. Tuesday’s spinoff of Fox Corp. and Disney’s subsequent acquisition of 21st Century Fox marks a significant shift in the structure of the Murdoch fortune. Historically, Rupert’s heirs had little control. The Reno, Nevada-based Murdoch Family Trust, which holds the 21st Century Fox shares and News Corp. stock, is effectively controlled by the family patriarch, according to filings. The deal gave Fox shareholders the option to take their payment in Disney stock or cash, or a mix of the two. Tax specialists said last year that cash proceeds would be subject to capital-gains and possibly state taxes. If a U.S. shareholder receives only stock, however, no gain or loss would be recognized. It isn’t clear what election the Murdochs have made but “when a trust is involved, the tax consequences of the transaction typically flow through to each beneficiary,” Harvey Bezozi, a certified public accountant and founder of YourFinancialWizard.com. It’s likely the children, some already well known, will become even more prominent. 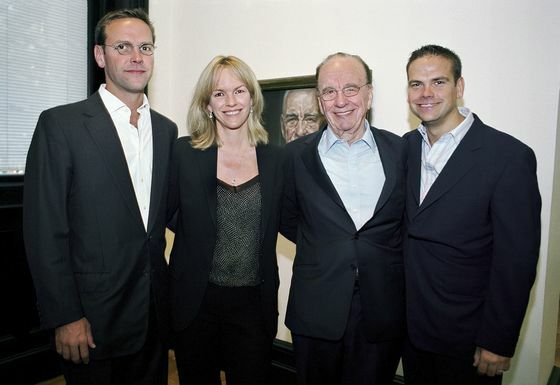 Lachlan Murdoch will be chief executive officer of Fox’s new incarnation and wants to build on the company’s entertainment business and increase its output of scripted programs, people familiar with his plans have said. Fox on Tuesday granted equity awards worth a combined $30 million to Lachlan and Rupert, according to a regulatory filing submitted after market close in New York. The awards will vest through June 2021. Lachlan will also receive an annual target compensation of $20 million in his role as CEO, counting salary, bonus and stock awards, while Rupert will have an $18 million target pay. Younger brother James established an investment fund this year and won’t have a role at Fox Corp. He’s expected to pursue interests in areas such as technology investments. Elisabeth, who sold a production company specializing in reality TV to her father’s business for about $670 million in 2011, has gravitated toward the creative and production side of the media industry, including Vertical Networks, a Los Angeles-based startup that makes digital, short-form video series.